Home Culture The Battle of the Pastitsios: The New York Times or The Boston Globe? The Battle of the Pastitsios: The New York Times or The Boston Globe? It all began when The New York Times published a recipe for Pastitsio, the traditional Greek dish that includes pasta, ground meat and béchamel sauce into a heavenly casserole. There was an immediate uproar on the Times’ Facebook post with hundreds of comments from Greeks (and non) throughout the world commenting on everything from the meat used (lamb) to the type of pasta (zit), as well as other ingredients. Some of the comments were quite entertaining. (Greeks are really serious about their Pastitsio! Actually, the entire story has been entertaining. Don’t mess with the Greek people’s pastitsio. In what appears to be a touche moment in journalism (not really, we’re certain it was just a coincidence, but why not continue writing about Pastitsio? )… The Boston Globe has published their own Pastitsio recipe. 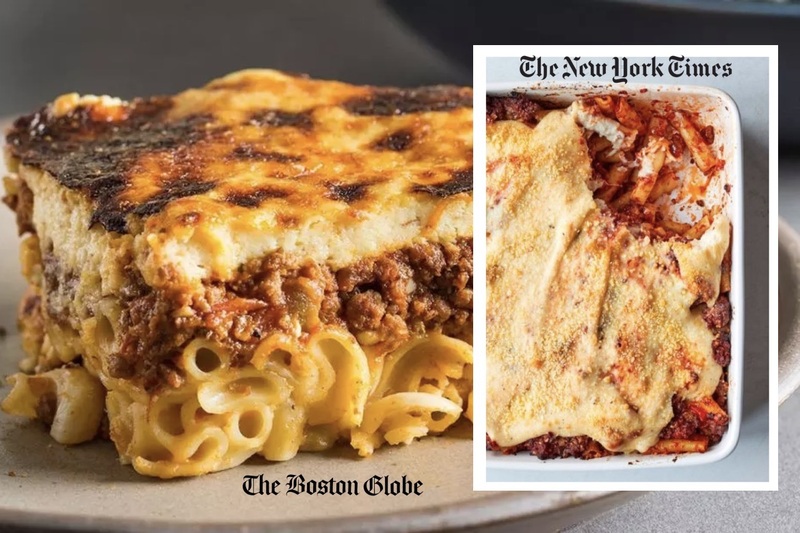 Is it an attempt to one up The New York Times and prove that its pastitsio recipe is better? Probably not, but this is fun, isn’t it? Have a look at The Globe’s version. Who did it better? Make the Tomato-Meat Sauce: In a Dutch oven over medium-high heat, heat the oil until shimmering. Add the onion and ½ teaspoon salt and cook, stirring, until softened, about 4 minutes. Add the beef and cook, stirring and breaking up any clumps, until no longer pink, about 6 minutes; tilt the pot and swab or spoon off fat if desired. Adjust the heat to medium, add the garlic, oregano, cinnamon, and allspice, and cook, stirring, until fragrant, about 40 seconds longer. 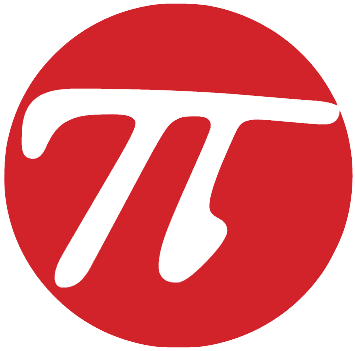 Make a space in the center of the pot, add the tomato paste, and cook it, stirring, for about 3½ minutes longer; stir the tomato paste into the meat mixture. Add the wine, adjust the heat to medium-high, and cook, stirring and scraping the bottom of the pot, until the liquid is incorporated and partially evaporated, about 1½ minutes longer. Add the tomato sauce and ½ teaspoon salt and bring to a simmer, stirring. Make the Béchamel Sauce: Clean and dry the pot, set it over medium heat, and melt the butter. Add the garlic and flour and cook, stirring and scraping the bottom of the pot, until the flour is light golden, about 2 minutes. Whisking constantly, gradually add the milk; adjust the heat to medium-high and bring the mixture to a strong simmer, whisking and scraping the bottom of the pan often. Adjust the heat to medium-low, add the paprika, cayenne, nutmeg, 1½ teaspoons salt, and ½ teaspoon ground black pepper and continue to cook, whisking and scraping, until the sauce is thickened to about the consistency of hollandaise, about 10 minutes longer. Off the heat, add 1½ cups pecorino Romano and whisk to melt and incorporate. (You should have about 5 cups of sauce.) Adjust the seasoning with salt and ground black pepper if necessary.